Today I’m sharing a guest blog from Dan Petterson, President of the SMARTER motorcycle safety organization. 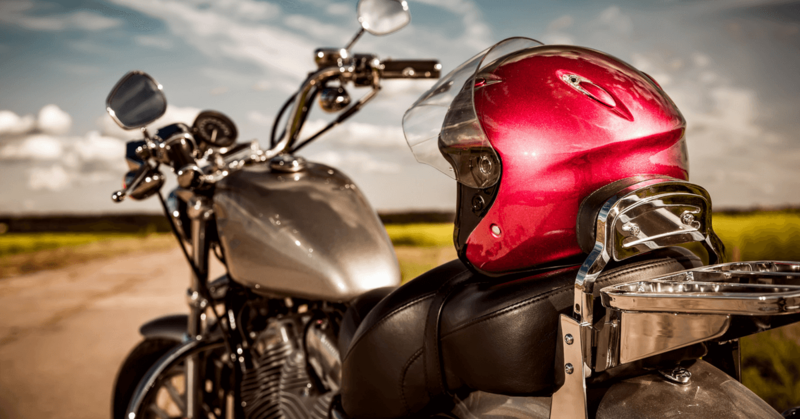 Dan writes of the increase in motorcycle accident deaths in our state following our politically motivated motorcycle helmet law repeal last April. I recently read information from an October 2, Gongwer News Service report titled Helmet Law Impact On Fatalities Disputed that Jim Rhoades, the main mouthpiece of ABATE of MI (the only real supporter of Michigan’s repeal of our long-standing lifesaving all-rider motorcycle helmet law), was touting the fact that 85 people had died in motorcycle crashes from January 1 through August 31 as evidence that the repeal didn’t impact deaths. Michigan OSHP says actually 91 people died and that Rhoades and ABATE are using old numbers. But who really cares? The real question for Rhoades (and the question all Michigan citizens should be asking) is how many of the 40 individuals who died in crashes and were not wearing a helmet would be alive if they had been wearing a helmet? What we know for certain is that some of these 40 riders would be alive. Using available quality research on the effectiveness of helmets in preventing deaths, it is likely that 17 of the individuals who died this summer would be alive if they had been wearing a helmet. Jim Rhoades, his fellow ABATE members, the legislators who voted for this repeal and our honorable Governor Snyder should have the responsibility of gathering these 40 families together and explaining how sorry they are that 17 of their loved ones died so that a bunch of other bikers could be free to make an irresponsible decision. “Us advocates” of helmets and helmet laws made a mistake when, in the months leading up to this dumb decision, we predicted an increase in deaths should the law be repealed. We just were not clear and specific enough. We knew that ABATE inappropriately and misleadingly used numbers in their argument for repeal and should have anticipated the same after repeal. While, over time and with multiple years’ worth of data, the comparing of raw death numbers undoubtedly will show an increase in overall deaths. Just comparing last year January to August to this year January to August does not really measure the impact of losing our helmet law. The effectiveness of helmets is proven. And when a helmet law is in effect, more riders wear helmets —that is proven. The two together equal fewer deaths and injuries. The research on this is overwhelming and indisputable. Just comparing a year’s worth of raw data, as Rhoades is doing, is misleading, likely intentionally so. The biggest single variable impacting motorcyclists death (and injuries) is exposure. In Michigan (like almost every state) the single biggest variable effecting exposure is weather. For example, the Detroit-area rainfall for April, May, June, and July of 2012 was more than twice what it was during the same months in 2011. Obviously, ABATE is not accounting for this or any other possible variables. Weather is just one possibility (the most plausible one) to explain a similar number of deaths in spite of helmet repeal. If motorcycle accident deaths are down, we should be glad. And if ABATE wants to tell people “look see, repealing our helmet law had no effect on deaths,” we can’t stop that. But as reasonable people, we need to understand that comparing last year’s raw data to this year’s raw data is certainly, absolutely, without any doubt – not a good measure of the impact of helmet repeal. Over time, comparing raw motorcycle death numbers prior to and after helmet repeal would provide valuable info. But one year is almost useless. Past research tells us that approximately 17 of the 40 individuals who died in a crash this summer and were not wearing a helmet would be alive today if they had been wearing a helmet (and the chances are almost 100% that if our law were still in effect, they would have been wearing some kind of helmet). I wonder which 17 of the 40 that might be. Were they all single and without families? More likely they were sons, husbands, and fathers or daughters, wives and mothers. Were they contributors to their communities? Hold jobs? Did anybody care about them? Why did they have to go? Those who advocated for the motorcycle helmet law repeal and the decision makers who made it happen should have to answer that question. Why did they have to go?